When Suzette returns to Los Angeles from the boarding school where she was forced to spend the past semester, she's uncertain of whether she wants to return to Massachusetts or stay in California. CA is where her friends and family are (as well as her crush, Emil); and her step-brother Lionel, who has been diagnosed with bipolar disorder, needs her emotional support. 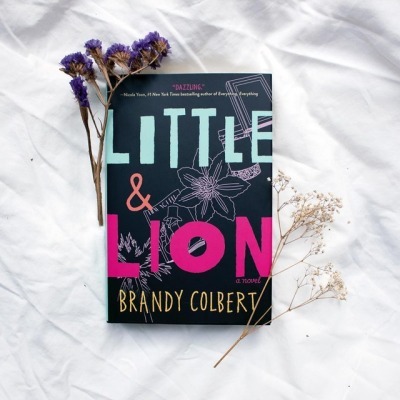 When Suzette and Lionel begin to fall in love with the same girl, however, Lionel's disorder takes a turn for the worse and spirals out of control, forcing Suzette to confront her own demons. Having betrayed a secret girlfriend in her boarding school, allowing her to take the brunt of homophobic bullying, Suzette must face her own past mistakes, come to terms with her bisexuality, and find a way to help her brother, before he hurts himself--or worse. Brandy Colbert was born and raised in Springfield, Missouri. Her debut novel, Pointe, won the 2014 Cybils Award for young adult fiction and was named a best book of 2014 by Publishers Weekly, BuzzFeed, Book Riot, and more. She was chosen as a Publishers Weekly Flying Start for spring 2014. She is also the author of Little & Lion, which was a Junior Library Guild and a Book of the Month Club selection, and Finding Yvonne. Brandy lives in Los Angeles and works as a copy editor. 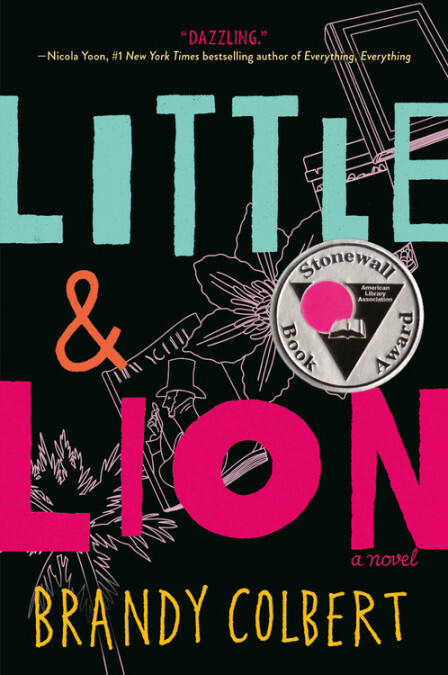 "It covers everything from the bigotry that comes from racism, homophobia, and the stigmas attached to mental illnesses to the micro-aggression minorities experience to the effect of bystanders to the idea that family isn’t always determined by blood to the importance and consequences of loyalty." "I adored their blended family and how tight knit they were. I love when a strong family presence is included in a book and that’s exactly what I found here."